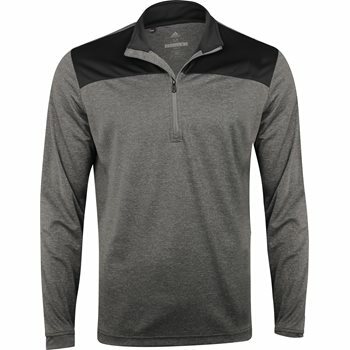 The Adidas Lightweight UPF ¼ Zip pullover features soft, lightweight fabric for moisture-wicking comfort and breathability. The fabric also provides UV protection against harmful sunrays. The pullover is designed with the Adidas logo at the left sleeve, a mock neck and a ¼ zip placket that can be zipped for warmth or unzipped to show off an undergarment.